You might be wondering why this small issue might be so important to Apple and to their competition (Google). As we know Google used to make the maps for iPhone 4s. Rumors have it that Google is building a new maps app for iOS6. If Google where to make another map app for the iPhone 5 that was better than the one Apple made it could not only make Apple lose credibility, but they can control the market to their advantage. In other words, if Google where to make a new map app for iO6, they could have some sort of leverage over Apple. They could decide when to release it. This is very important because Google could wait until Apple fixes their app before they release their app. Google has been the leader in Navigation and Maps, competing with them is not easy. Google could also release new app before Apple does. This would probably become one of the top 5 apps in the market very quickly. Another key feature that plays a big role is Apple’s approval of a new Google app. Unlike androids, Apple does not allow anyone to publish apps on their app market. Will Apple approve Google’s need map app if they release one? I believe they probably would. Sometimes you have to choose between user satisfaction and money. Not only will Apple lose money with the failure of their app, but Google has found an opportunity to thrive once more. I completely agree with you, when I first downloaded the new ios I was most excited to check the maps, but I was very disappointed to find that the new app didn’t hold up to Apple’s standards. When I zoomed in on my house, the picture was very pixelated and the picture didn’t zoom in as much as the google maps app did. Hopefully an update will be available soon. I agree with you on this. 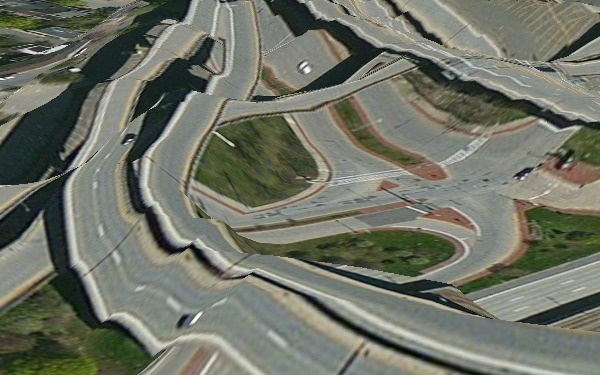 When I updated my iPhone I had a lot of minor bugs with my apple maps. However, the map looks cool on the screen. I like how it has the 3d option. If you are ever bored, type in Times Square and check out the 3d option. Its pretty cool. I just ordered an iphone 5. crap. Like any other app apple maps has pros and cons. So far I’ve seen many more cons.